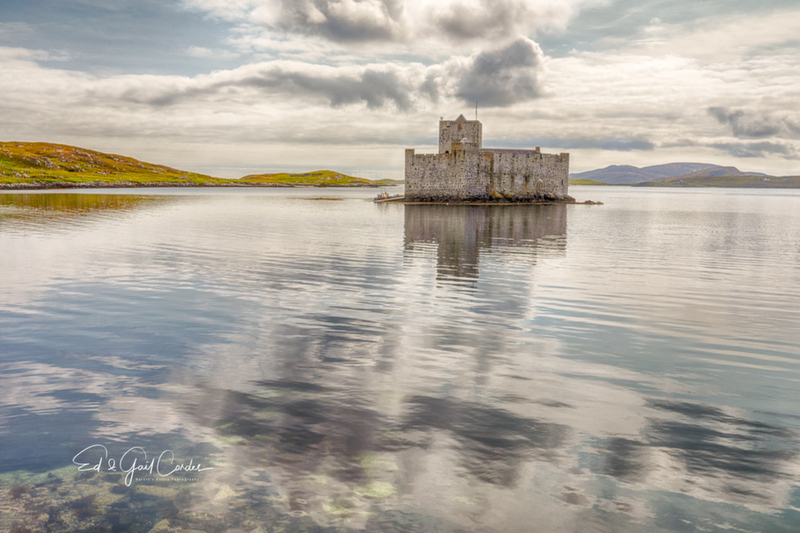 This is a very small castle in the harbor of the Isle of Barra in the Outer Hebrides, UK. Thanks for looking. The Medieval, Kisimul Castle - seat of the Chief of Clan McNeil since the 11th Century. Oh what stories this ancient castle could tell! You captured the mood very nicely. Ed. Cool shot, cool castle, I like the composition. I like the color harmony in this one. Mostly grey and blue that are close to silver, with a splash of green cutting through. Love the silvery shimmering colors here-makes the castle look quite magical, as I suppose it is! The clouds add much to the mood here. Wonderful capture! Wow! Thanks for the EP recognition. I never expected this. Thanks to all on this site who commented and looked at the image.